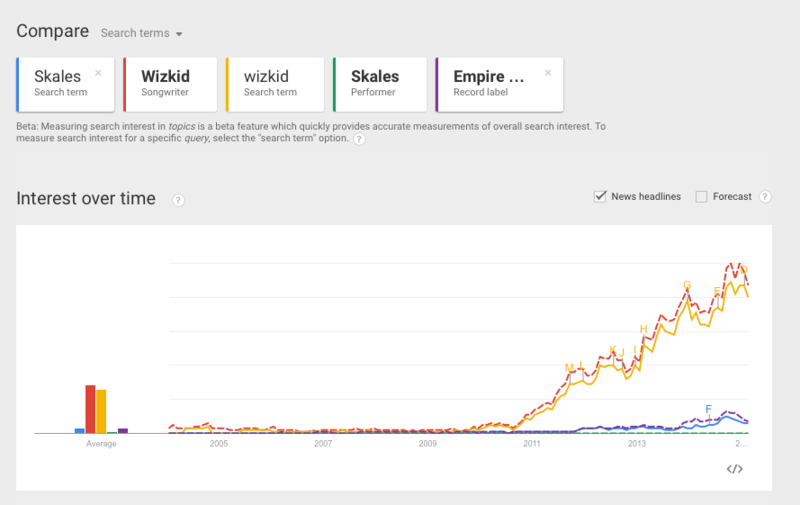 There’s been a lot of dust raised as regards the beef between former Empire Mates signees Skales and Wizkid. The no nonsense Uduak Oduok has called out Wizkid on his many fights, Notjustok has chronicled Wizkid’s twitter beefs since 2013 and Ayomide O Tayo of Pulse has an opinion piece examining the “childish tantrums between the pop acts“. And that is where we are right now. While the truly childish banter was ongoing, a couple of people tweeted that the beef/fight might have been orchestrated to help garner attention for Skales’ upcoming “Man of the year” album. Screenshot showing news headlines for Skales, Wizkid and EME between the time of the beef and now. Results are color coded to match each term. 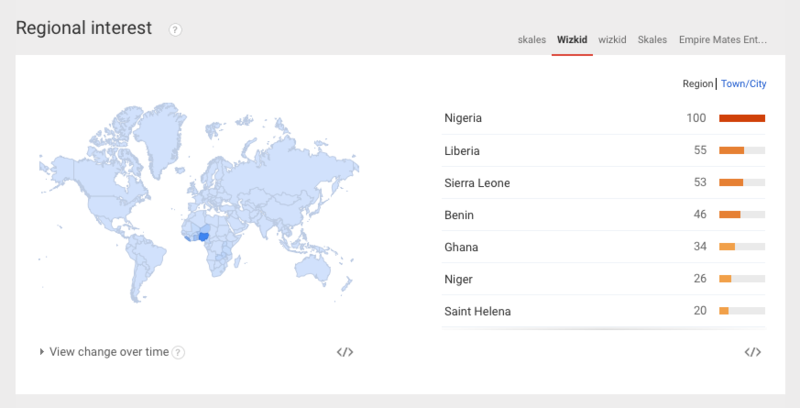 Kindly note: Google Trends does not delineate negative buzz from positive ones. The results below are a cumulative of negative/positive/both. 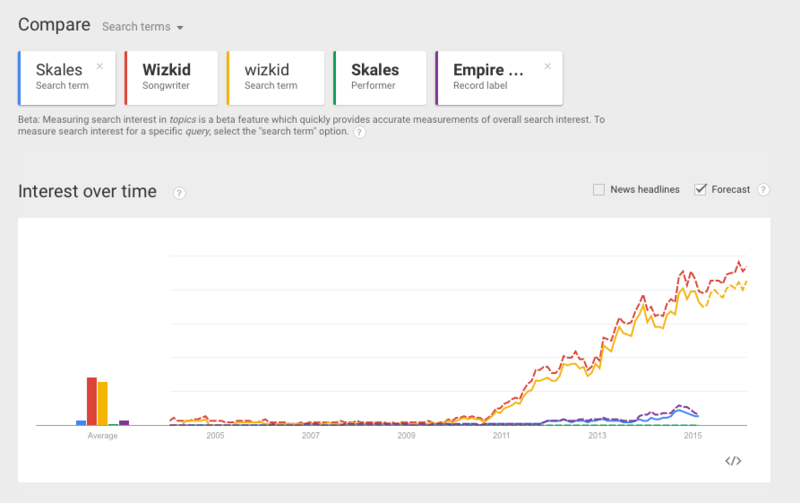 Screenshot showing future search “forecast” for Skales, Wizkid and EME between the time of the beef and now. Results are color coded to match each term. 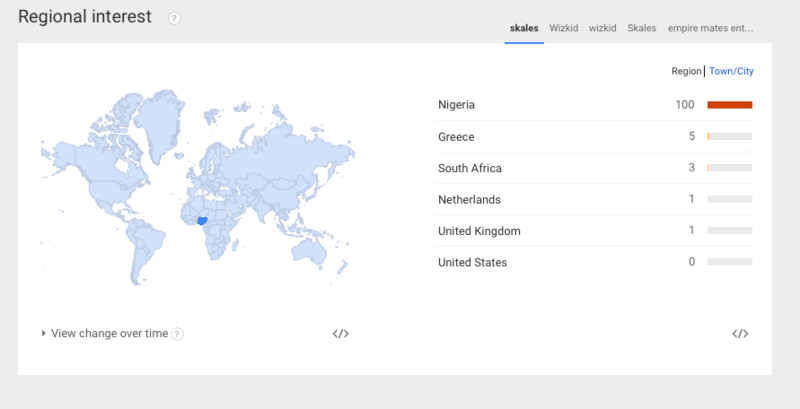 According to Wikipedia: Google Trends is a public web facility of Google Inc., based on Google Search, that shows how often a particular search-term is entered relative to the total search-volume across various regions of the world, and in various languages.